4/16/12. 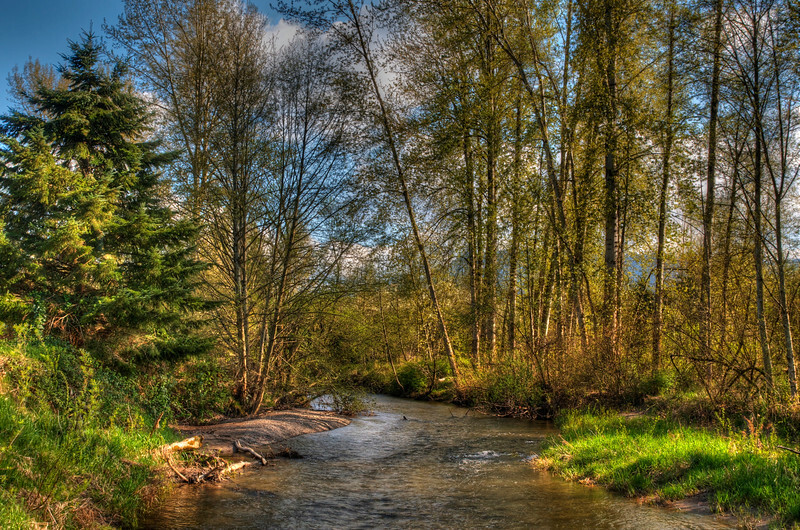 Late afternoon on Issaquah Creek, Washington. It was one of the nicest weekends this year so far, so we were able to get out and spend time sitting by this creek and enjoying the sights and smells of spring. I'm having a hard time finding your latest - you need to set the sort order for this gallery to have the most recent at the top. Anyway I like this creek shot. Well done. Outstanding scene. Love your pp on this.